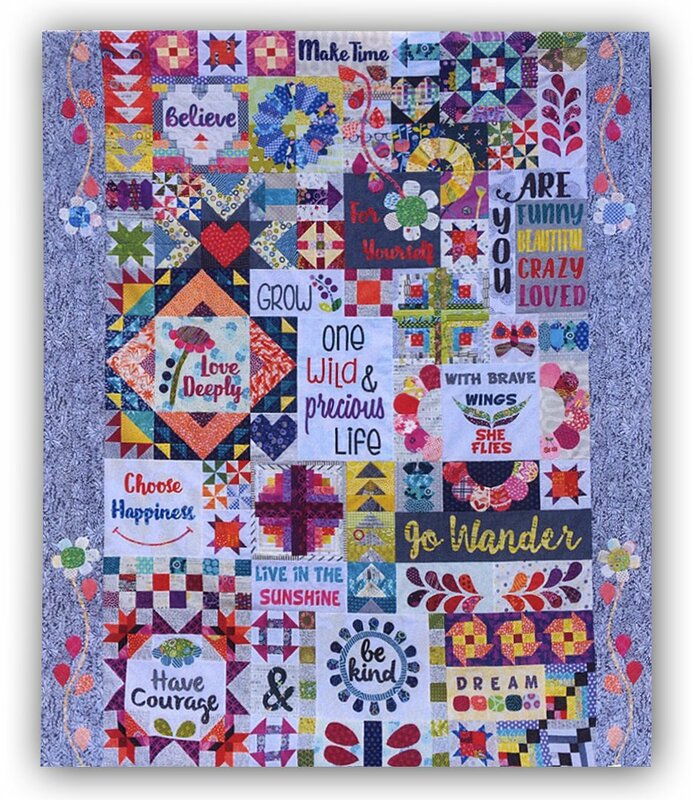 "Dear Daughter" is one of our Block of the Month classes for 2019. The quilt features uplifting messages and colorful fabric and is a wonderful assortment of sewing techniques that require an intermediate to advanced skill level. You may also want to include additional fabrics from your own stash, especially those from family memories. The class begins in January of 2019 and will be held the second Thursday morning of every month from 10:30 am to 1:30 pm. The first class in January is from 10:30 am to 3:30 pm to allow time for extra instruction.